Last updated Monday, 16 February 2015 at 02:08:31. First submitted Monday, 24 March 2014 at 22:53:53 by Stanley Jenner. 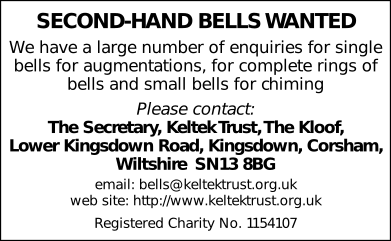 Sent for publication in The Ringing World on Monday, 24 March 2014 at 22:54:53, and printed in issue 5372, page 362. This performance has been viewed 1088 times.